For a marvelous display of sparkle, try this Swarovski bead. This bead features the popular Bicone shape that tapers at both ends, much like a diamond. The multiple facets cut into the surface of the crystal create a sparkling effect that is sure to catch the eye. This bead is small in size, so it makes a wonderful spacer between larger beads. 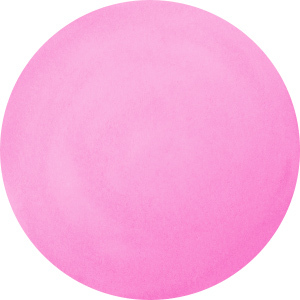 This bead features a pale blue color that changes to sweet pink in natural lighting. Unforgettable sparkle shines in this Swarovski bead. This Fine Rocks tube bead is a wonderful way to dress up any jewelry design. String into bead patterns, stitch it into sewing projects, use it on leather, and more. 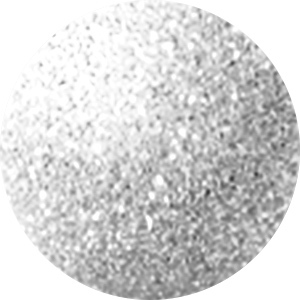 However you use it, it will bring a glittering pave look to designs. The surface is covered in double-pointed size PP14 chatons. This short tube bead does not feature end caps, so you can layer several together, easily integrate it into unique color palettes, and more. Draw attention to designs with the amazing sparkle of this Swarovski bicone bead. This bead features the popular Bicone shape that tapers at both ends, much like a diamond. The multiple facets cut into the surface of the crystal create a sparkling effect that is sure to catch the eye. You can use this versatile bead anywhere. The Shimmer effect is inspired by the glittering AB finish. 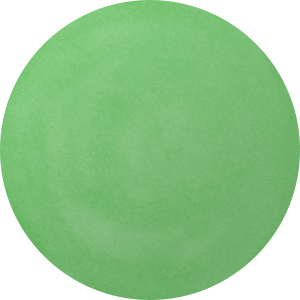 It's a soft and elegant effect that radiates multiple shades of a single color. It offers more brilliance, color vibrancy, and light refraction to accentuate every movement of the crystal. Give any design some pizzazz with this Swarovski faceted round bead. Displaying a classic round shape and multiple facets, this bead can be added to any project for a burst of sparkle. The simple yet elegant style makes this bead an excellent supply to have on hand, because you can use it nearly anywhere. This small bead makes a great spacer. The shimmer effect is a special coating specifically designed to capture movement. This effect adds brilliance, color vibrancy, and unique light refraction. Give any design some pizzazz with this Swarovski faceted round bead. Displaying a classic round shape and multiple facets, this bead can be added to any project for a burst of sparkle. The simple yet elegant style makes this bead an excellent supply to have on hand, because you can use it nearly anywhere. It's the perfect size for matching jewelry sets. The shimmer effect is a special coating specifically designed to capture movement. This effect adds brilliance, color vibrancy, and unique light refraction. Dazzling glitter fills this Swarovski bead. This Fine Rocks tube bead can be used easily on leather to create stunning jewelry or you can sew it into projects for beautiful textile applications. This bead allows you to bring a glittering pave look to designs. The surface is covered in double-pointed size PP14 chatons. This long tube bead features stainless steel end caps for a polished and professional finishing touch. Texture and dimension sparkles beautifully in this Swarovski bead. This Fine Rocks tube bead can be used easily on leather to create stunning jewelry or you can sew it into projects for beautiful textile applications. This bead allows you to bring a glittering pave look to designs. The surface is covered in double-pointed size PP14 chatons. This long tube bead features gold-finish end caps for a polished and professional finishing touch. Amazing sparkle fills this Swarovski bicone bead. This bead features the popular Bicone shape that tapers at both ends, much like a diamond. The multiple facets cut into the surface of the crystal create a sparkling effect that is sure to catch the eye. This small bead is great for adding sparkle to necklaces, bracelets, and even earrings. The Shimmer effect is inspired by the glittering AB finish. It's a soft and elegant effect that radiates multiple shades of a single color. It offers more brilliance, color vibrancy, and light refraction to accentuate every movement of the crystal. Elegant sparkle fills this Swarovski bead. This bead features the popular Bicone shape that tapers at both ends, much like a diamond. The multiple facets cut into the surface of the crystal create a sparkling effect that is sure to catch the eye. This bead is small in size, so you can use it between larger beads for a fun pop of color. The shimmer effect is a special coating specifically designed to capture movement. This effect adds brilliance, color vibrancy, and unique light refraction. The effect has been applied twice for even more brilliance. Give any design some pizzazz with this Swarovski faceted round bead. 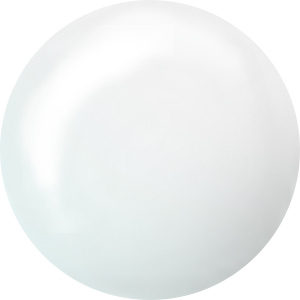 Displaying a classic round shape and multiple facets, this bead can be added to any project for a burst of sparkle. The simple yet elegant style makes this bead an excellent supply to have on hand, because you can use it nearly anywhere. It is versatile in size. The shimmer effect is a special coating specifically designed to capture movement. This effect adds brilliance, color vibrancy, and unique light refraction. Texture and dimension sparkles beautifully in this Swarovski bead. This Fine Rocks tube bead can be used easily on leather to create stunning jewelry or you can sew it into projects for beautiful textile applications. This bead allows you to bring a glittering pave look to designs. The surface is covered in double-pointed size PP14 chatons. This short tube bead features gold-finish end caps for a polished and professional finishing touch. Modern glam style fills this Swarovski bead. This Fine Rocks tube bead is a wonderful way to dress up any jewelry design. String into bead patterns, stitch it into sewing projects, use it on leather, and more. However you use it, it will bring a glittering pave look to designs. The surface is covered in double-pointed size PP14 chatons. This short tube bead features gold-finish end caps for a polished and professional finishing touch. Elegant sparkle fills this Swarovski bead. This bead features the popular Bicone shape that tapers at both ends, much like a diamond. The multiple facets cut into the surface of the crystal create a sparkling effect that is sure to catch the eye. This bead is small in size, so you can use it between larger beads for a fun pop of color. The shimmer effect is a special coating specifically designed to capture movement. 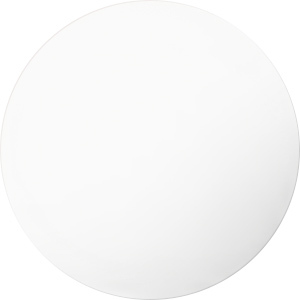 This effect adds brilliance, color vibrancy, and unique light refraction. Amazing sparkle fills this Swarovski bicone bead. This bead features the popular Bicone shape that tapers at both ends, much like a diamond. The multiple facets cut into the surface of the crystal create a sparkling effect that is sure to catch the eye. This small bead is great for adding sparkle to necklaces, bracelets, and even earrings. The Shimmer effect is inspired by the glittering AB finish. It's a soft and elegant effect that radiates multiple shades of a single color. It offers more brilliance, color vibrancy, and light refraction to accentuate every movement of the crystal. The effect has been applied twice for even more brilliance. You'll love the glittering style of this Swarovski bead. This Fine Rocks tube bead is a wonderful way to dress up any jewelry design. String into bead patterns, stitch it into sewing projects, use it on leather, and more. However you use it, it will bring a glittering pave look to designs. The surface is covered in double-pointed size PP14 chatons. This short tube bead features stainless steel end caps for a polished and professional finishing touch. Dazzling glitter fills this Swarovski bead. This Fine Rocks tube bead can be used easily on leather to create stunning jewelry or you can sew it into projects for beautiful textile applications. This bead allows you to bring a glittering pave look to designs. The surface is covered in double-pointed size PP14 chatons. This short tube bead features stainless steel end caps for a polished and professional finishing touch.